The smartphone changed a lot of things about the gadget market. It has created an entire industry dedicated to churning out better and better apps for the latest smartphones. One of the most easily identifiable ways, the smartphone has revolutionized the mobile industry is the way we message. Gone are the days when we would type in a text message and send it. Nowadays we do the same thing in an entirely different way. Instead of letting our messages take a toll on our calling balance we let it utilize the internet. Instead of selecting recipients from our phone book, we select them from a plethora of chatting portals like Facebook and Google Talk. There are a lot of apps in the market that are designed to take messaging to a whole new level. 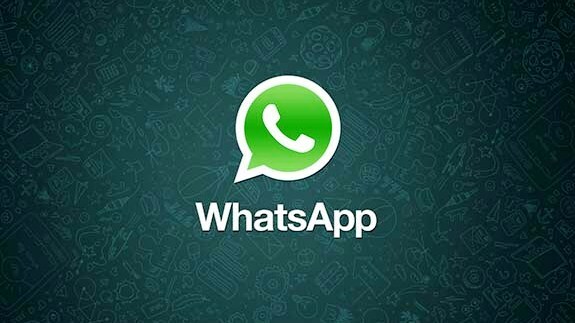 Whatsapp is one of the most popular messenger apps available if not the most popular. Apart from sending simple text messages to anybody who has a Whatsapp-installed smartphone, you do a variety of other things. You can send multimedia items like pictures, audio files, video files and all of them for no extra cost apart from the normal data tariff. The titular messenger app from the stables of RIM for their Blackberry devices, Blackberry Messenger was one of the main reasons for the popularity of Blackberry devices and still is. In fact, Blackberry was one of the first phones to feature an app just for messaging. People no longer had to pay extra money for sending messages. The only charge this app took was the data charges for the internet usage. Nowadays, you can share your images, videos and even the view from your camera with it. You can also hold audio as well as video calls through this nifty app. MSN Messenger was an application for desktops and one of the first instant messaging portals of the computing world. It was later renamed to Windows Live Messenger and has now branched out in to the mobile phone market. This messenger app has plenty of features in it like the ability to share files, folder, video and audio chatting, integration with MSN and Facebook etc. and yes, it can also sent text messages. Google Talk is the messenger app from the computing giant, Google. Originally designed as an instant messenger for computers, it has evolved to become a good app for smartphones. It can handle text messages as well as voice calls and video chatting. The major plus point of this messenger is that it automatically syncs its contact list with your Google I.D. which means that all your contacts are in harmony throughout all the Google services that you use like Gmail and Google+. Viber is relatively new to the messaging scene compared to the other ones on this list. It has however a few good things working in its favor. You can send the usual text message or IM and you can also make audio calls which tend to be smooth and without any hiccups. It also has the option of sending e-mails. Usually, Android mobiles in India use this App to get in touch with friends and family that stays overseas, to save on calling costs. There are a multitude of messenger apps out there to make messaging a better experience. Using messenger apps are also cheaper as you can send hundreds of messages without letting your messaging habit affect you phone balance. Of course, there is a catch and that is, your intended recipient must have the same messenger apps installed in the phone. I really love Whatsapp it’s fast it’s quick and i like it 😉 Simple! Nice post and Thanks for sharing this list of messenger app with us. I used Whatsapp and its awesome. Viber also seems interesting and I am surely gonna try it. Love viber and whatsapp. They are amazing. I have also used other apps, they are good. Wassup and Viber are quite popular and I of course use them too. Google Talk sounds like a thing I should give it a try. In these five Apps I am using Whats App and Google Talk… These are awesome for me. I had listen about Viber. I would give it a try. Hi! Nice and very informative article.Really classical and very helpful post. i am really impressed to know that you provide good information. whatsapp is the best app for android mobiles,it is very usefull to share photo,videos,long text massage even voice. I’ve been reading a lot of good things about Whatsapp, but I haven’t really explored it yet. Right now, I’m using Viber on my Android tablet. Sometimes, I also use Google Talk. Hey, very nice article indeed. You are absolutely correct that “Today’s messengers” have totally changed and turned the tables round up the way of connecting. The way of traditional messaging has turned more user friendly as well as more trendy. Thanks for sharing such a nice piece of work. I have installed and used Whatsup and Google Hangout ( Google Talk before ) and they are pretty usefull and most of all if you have a medium internet connection, they don’t stuck! Also, I have noticed that Viber is growing too fast and lots of people now use it! Thanks for informing us with the other applications! whats app is really on a high these days. every smartphone owner tries to make as much contacts as possible on this application. It is already been seen as the substitute for the conventional sms!